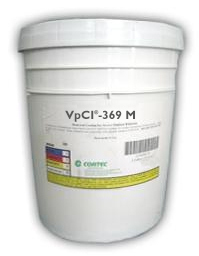 VpCI-369M provides the same excellent performance of regular VpCI-369 without any diluting or mixing required. It is designed to protect in sheltered conditions for long term (3-7 years protection) outdoors. Military specification testing shows this product to be exceptional in many applications all over the world in different climatic conditions. Works well for mothballing, shipping, storage or as an protective coating. Protects brass, cadmium, cast iron, steel, magnesium, lead-calcium alloy and zinc. Product can be applied by spray, brush, roll or dip in a well-ventilated area. Available in 5 gallon steel pails (Cortec Product Code 12500503) or 55 gallon metal drums (Cortec Product Code 12500504). 5 gallon drum weighs 50 pounds and ships under our standard shipping rates. The 55 gallon drum must be shipped by truck. We will provide you with a freight quote before we ship this product. VpCI-369M is a temporary coating for low temperature and pressure applications. It is not recommended as an oil additive for combustion engines due to solvent content.